Business description from prospectus - SecUR Credentials is engaged in the business of Background Screening (also known as BGC - Background Check) and Due Diligence. It is the end-to-end screening services provider to various corporates in the country. It is one of the very few India-based BGC companies to be a member of the prestigious US-based National Association of Professional Background Screeners (NAPBS), APAC Chapter, which is the umbrella body of the largest BGC companies around the globe. As a result, the company has access to the NAPBS members not just for specialised/localised services, but also as a knowledge centre for best practices. 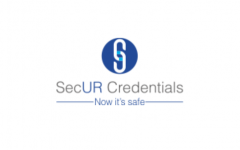 SecUR Credentials can provide background screening services, for organisations not just in India, but across the globe through its NAPBS connections and has provided services in countries such as US, UK, Philippines, Srilanka to name a few. The company is headquartered in Andheri, Mumbai, with branch offices in Mumbai, Delhi, Bengaluru, Hyderabad and Chandigarh. SecUR Credentials can cover every PIN code of the country through its intricate hub and spoke model, which multiplies the geographies it covers through the above branch offices. SecUR Credentials IPO allotment status is now available on Skyline Financial Services' website. Click on this link to get allotment status. Subscribe as it is one among same type of business models like team lease which listed on the main board with 20% gain on the first day. The issue will list above 5 %.